Fashion Over Reason: Gasp! Another fall stunner, channelling film siren Louise Brooks! Gasp! Another fall stunner, channelling film siren Louise Brooks! I had not seen these images online before i opened my August W and spotted them. 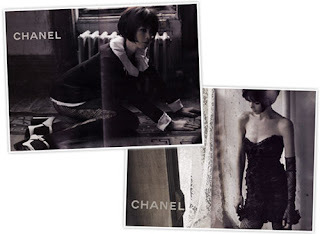 The Chanel Fall ads are gorgeous! I barely recognized Claudia Schiffer, she looks absolutely amazing. This campaign is miles ahead of the Spring one. 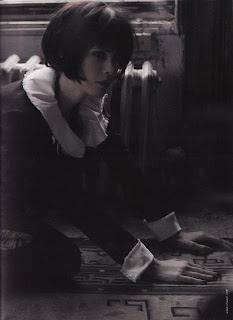 Karl really outdid himself with these gorgeous images that channel silent film star Louise Brooks. Stunning! In my opinion, these ads rival the Lanvin ones. Does anyone know if Karl shot these himself? i have to say, these photos channel trash more than anything else. not good. the comparison to LB is an insult! love the bob, though. Channeling LB via Anna Karina and French New Wave?